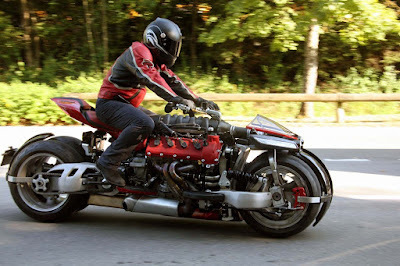 In one world's famous automotive exhibition Geneva Motor Show 2016 held in March 2016, a renowned French modifier Lazareth was showing its work called Lazareth LM847, a big motor bike is equipped with the Maserati's V8 engine. As reported from Carscoops, after its first appearance, the French tuner also showed that Lazareth LM847 is not just a motorcycle display only, but it also can be ridden like a motorcycle in general. 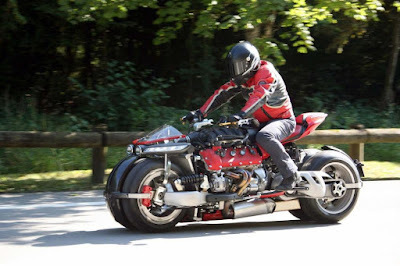 Power makes the Lazareth LM847 can move forward came from a Maserati Quattroporte machine capable of spraying power up to 470 hp with a torque of 457 nm and combined with the hydraulic coupler-1 speed transmission system. 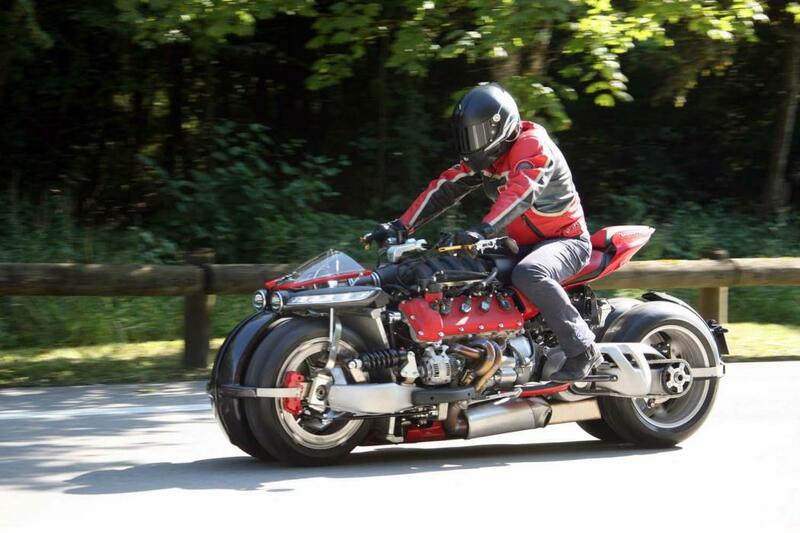 For these unique motorcycle, Lazareth make a special beam frames as a counterweight. By using these frame, the LM847 will be stable while ridden. In addition, this motorcycle is using four fastened wheels as well as special-made suspension system.